﻿ Nook DRM Removal, Remove ePUB drm from Nook with One Click. Nook DRM Removal, Remove ePUB drm from Nook with One Click. Posted by Alen on 12/1/2018 4:35:11 PM. Powerful software to remove DRM protections from Nook books with no quality losing, supports Windows and Mac. Nook DRM Removal is definitely your best choice to remove Nook DRM. It removes DRM from purchased B&N Nook books quickly and easily, the latest version even allows you decrypt Nook books with 1-click. 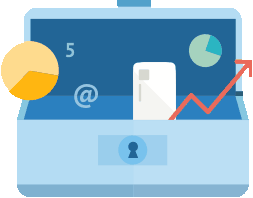 Notice: Nook officially changes the DRM protection mechanism since March 2015, we proudly announce that our Nook DRM Removal is the first software to decrypt the new Nook DRM, with the most advanced function on the market. For regular users, please update the software version. And this is the guide for how to remove new Nook DRM. The Nook DRM Removal has an intuitive and friendly interface, so anybody can use this easy-to-use program smoothly. Just drag Nook books from the left side to the main window, there will be "B&N DRM"at the end of each book. 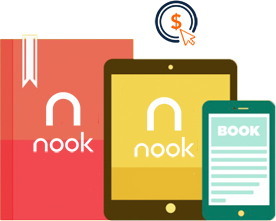 Click on "B&N DRM", and input correct Nook account information, all the Nook books will be DRM free. Epubor Nook DRM Removal finds and sideload all your purchased Nook books automatically in the left side of the software. Several necessary settings are required when you use this software the first time. Then you only need to find the book title and drag them to the main interface to "Remove DRM". 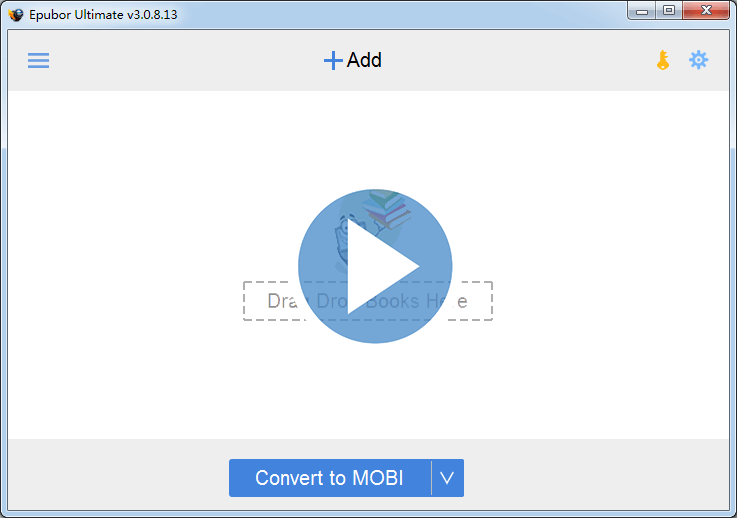 Epubor software helps you remove DRM from you Nook book in batch. The whole process is super fast. In old days, the Nook DRM is generated upon your billing credit card and cardholder's name. Barnes & Noble changes it since 2015. Now the Nook DRM is generated upon your Nook account's information. Therefore, to remove Nook DRM, you must input your Nook account's email and password. Some users are concerned about the security problem as they need to input Nook account email and password in our program. Please don't worry about that, these information is only used to generate decryption key for your Nook book. There's no way that your Nook account information will be leaked. Everything is just stored in your own computer. Alen A reading enthusiast. Always pay close attention to the world of Ebook. Devote myself to share everything about e-book and favorably receive any suggestions. I downloaded the free trial of the Nook DRM removal software in hopes to remove the DRM header from one Nook book. How do I generate the key? I enter my name and credit card number and keep getting an error. First: we do not save any information of yours, only use Name and Credit Card to generate Nook Key file(bnepubkey.b64). Second: If error "permission denied", make sure you have the authority to write file in the folder. if using win7 or vista, right click the software icon, choose "run as administrator". i'm totally leery about giving my credit card information to generate a key. How do I know it's not a scam? and why can't they ask for other information, like telephone number, which is safer than a credit card??? I have not tried this software, but I just want to say that I do not think that this is a scam. Barnes & Noble uses your credit card information to generate the DRM that locks e-books. It's called "social DRM." I think the idea is that people will be hesitant about file-sharing e-books that contain their credit card information. I am trying out Nook DRM Removal. After I generate the key, and re-run the program, I get an error. "Key cannot be the null string" What am I doing wrong? Make sure you generated nook key file with correct information, if so, Nook DRM Removal can helps you remove DRM, when error occurs, your books must not be protected by DRM, you can copy the source file to anywhere! Question, I share my ebooks with my dad, he has his own BN account as do I. Will I only be able to unlock my books with this program or will I be able to do his as well? Thank you in advance. You can't share ebook with another account holder, if you have the B&N account Name and Credit Number, then you can generate nook key file and decrypt the ebook. If you want to remove DRM from you dad's ebook, you need know his B&N account Name and Credit Number. I am trying to use your program. I just past the administrator rights part, but I am getting the following error reading, "File is not a zip file." When I download my eBooks for BN, it does not come in a zip format. When I make the file a zip, it will still not work. What am I doing wrong? ePubs are specially crafted zip archives. Unfortunately, many of the DRM encoded Adobe Adept and Barnes & Noble ePubs are not "proper" zip archives in that the names of some files in the zip central directory do NOT match the local name given in archive itself. This type of zip archive is technically incorrect/corrupted and can not be read by many other programs. You need to redownload the epub file again or use ePub_Fixer(ePub_Fixer was designed to fix improperly created zip archives of this type). Note: You can rename .epub as .zip, then unzip it, you will view all the files. I purchased your 13 program package for both Windows and Mac. Everything I've downloaded so far activated just fine except the Nook DRM removal asked me for my credit card information to pay an undisclosed additional amount. I'm not going to do that after I just paid you over $46 for the programs in the first place and there was never any mention of any additional fees to run the program I'd just purchased. Please disregard last message. I now understand that the keygen uses my Barnes and Noble info to generate the key to unlock a Nook book. I just downloaded the free trial, got my key generated and now its saying ewrite takes exactly two arguments (1 given). What the heck does this mean and what do I need to do to get this to work? same problem. any solution yet? Please make sure the books are downloaded from Nook4PC, and the Input Path is "..\Documents\My Barnes & Noble eBooks\". If fails, please regenerate you nook key file. got a kindle for Christmas. epubor converted noon books most excellently. Thanks! I am keep getting "error 13" when trying to generate the Key File (bnepubkey.b64). Have used just my name and credit card number. I am the administrator on the file. It's clearly show you do not have the authority to write the file! If using Win7 or Vista, please right click the software icon then choose "run as administrator". If also have the error, it must be your hardware's problem, then you need change hard-disc or change a PC for removing DRM from Nook ebook. I am not willing to give my credit card informations via a web site!!! I have paid 29,99$ with PAYPAL for your program and now you want to have my credit card data? Two years ago my credit data were stolen during such a procedure and I have had a lot of stress because of this. Sorry, this is a very strange deceit and I want my money back (I know this is senseless). If you worry about your information, You can disconnect your network, after decrypt books, then uninstall the software. Yes, it's an offline program! eror 3 while decrompressing invalid stored block length. I'm getting the same error message as Jerry. The only problem is you input the wrong Name or Credit Card number, but we can't check this information, that's why it's a hard work for removing DRM from nook, you must try it again and again. I wanted to try Nook DRM removal before buying, just one main book at first. I run as administrator, get key generated with correct name and credit card; then when I restart as directed, as administrator, I get error message, "Key cannot be the null string". In previous comment you state that book must not be DRM protected, but it is. When I try to read with other app, such as iPad, iBooks, I get message, DRM protected. Can you help? I have several Nook Color books I want DRM removal, and then some on Kindle. I can't purchase package if it does not work. Thank you. The only problem is input the wrong Name or Credit Card number(full number), but we can't check this information, that's why it's a hard work for removing DRM from nook, you must try it again and again. After input my credit card number and billing name, it did decrypt my Nook books. Very fast at sending me a solution to my technical problem. Thank you for an easy to use software. Had a few issues in the beginning and contacted support. They promptly responded and everything turned out well. That was meant to be a 5 star review. Great service. Well done application. I want to read my NOOK books epubs in Adobe Digital Editions but I get a fail sign when I use your nook epub app. Please help. DeDRM4BNEPUB: Verifying zip archive integrity. DeDRM4BNEPUB: error reading key file. DeDRM4BNEPUB: wrong key, trying others. 2 files limitation for the trial version, please register it. Right-click the succeeded item to open the output file. As per the log, the input info is incorrect. We've sent an email to you, please check. I did everything you told me. I even did ERIC J SOLASKI ERIC SOLASKI eric solaski etc... It just fails.. I redownloaded my books and tried everything you said. I tried caps even my screen name? when I set it up for a variation of my name, do I have to reinstall Epubor again with each variation? 1. There is no need to reinstall. Please run Nook for PC and double-click each item to download them to your computer. Then your Nook books will be saved under the default folder. 3. Make sure the cc info is correct. Input the full billing name (with proper one space) and the 16-digit (no dashes or spaces) cc number of your default credit card under the B & N account. PS: If the name on the default credit card does not work, try the name used in the default shipping address. I did everything you told me and no go! I tried everything: My Name Eric Solaski, Eric J. Solaski, Eric John Solaski and my credit card number. I you could do my 40 books, I would gladly pay you $100. I removed the DRM for my PDF textbooks and can NOW read them on NOOK HD+ B&N LIED! Is there anyway they can tell I'm reading textbooks on their nook after I removed all the DRM? Nook may have a way to tell whether you are reading a non-DRM book, but what will it do next? There are so many people reading personal books on eReaders in the world and it's unlikely that Barnes & Noble tracks every one. You can keep your Nook reader unconnected to Internet, then Barnes & Noble will have no way to detect. This software doesn't work on B&N Nook ebooks. Nook has changed the DRM method on their books. You can try to use Nook Study program to sync the books and try to remove DRM. I get this error. What Can I do? Does not work. Like the other Nook DeDRM methods I've found, epubor relies on NookStudy or Nook for PC to get the books and create the decryption key. Neither is supported by B&N now (Oct 2015), and B&N seem to have removed their servers, so neither program is able to log on to B&N. Both fail with a network error - presumably because the server is no longer there. I tried copying a book from my Nook to my PC, but was unable to remove the DRM from that either. As epubor say, the credit card number and name key generation no longer works, and without Nook Study or Nook for PC, there's no way to generate the key. Installed, followed the instructions. Did not work. Asks for my login details at BarnesandNoble.com. Very fishy. I made sure to remove all payment and address info from B&N.com prior to giving it to Epubor. Please follow this guide "How to Remove Nook DRM" on Epubor website to solve your problem. If you are failed again, please contact the Customer service directly to solve your problem. It can definitely decrypt Nook books using NookStudy: http://download.epubor.com/sold/nookstudy_setup.exe There is a trick to logging in to Nookstudy though…put in your info, but close it before the login times out. Then reopen Nookstudy and you should be logged in anyway. After downloading your books via NookStudy, run Epubor software, click Nook tap to load your Nook books to the software automatically, then add the books to the right main window to remove DRM. Nook is the only application that I cannot transfer my books using Epubor. I have adobe books, kindle books, random epub, Epubor worked beautiful to decript them all. I use calibre to manage it and it is awesome..... except for not being able to get to the nook books. It doesn't matter if your software COULD decript it, I can't get to the books. I archived and unarchieved each of my books on the B&N webside, I've downloaded both nook and nookstudy... I don't know if the rest of the steps work because I cann't log into the NOOK apps to get to my books. Thank you for using Epubor software. Yes, Epubor software works well on Kindle books, adobe books, kobo books. Recently, the Nook has discontinued its server for Nook study and nook for pc. So there is no way to download books from these apps. For windows 10, you may can download you nook books via Nook app.